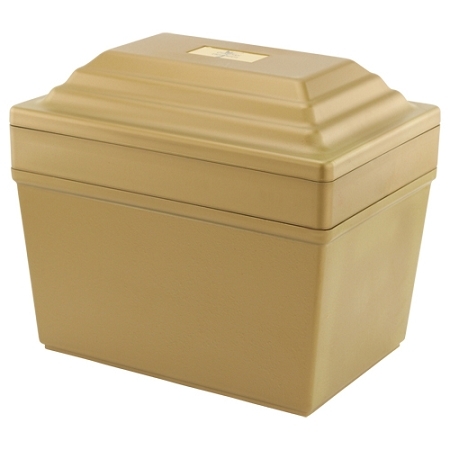 The Guardian Urn Vault - Gold is an exceptionally strong and lightweight vault, made to hold one standard adult size cremation urn for ashes. You can count on long-term protection and superior durability with this vault due to its sturdy construction and unique tongue-and-groove seals. 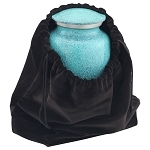 An urn vault is required by many cemeteries if you intend to bury a cremation urn. 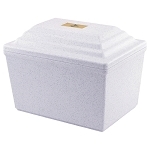 A vault ensures that the urn and its contents are sheltered from the elements, and it also prevents potential damage caused by heavy cemetery equipment. 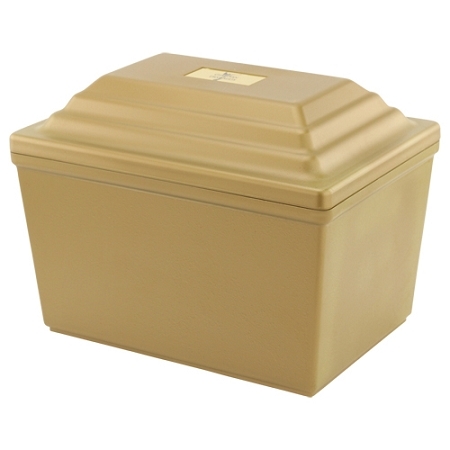 The Guardian Urn Vault - Gold features an attractive gold exterior and burgundy velour lining. 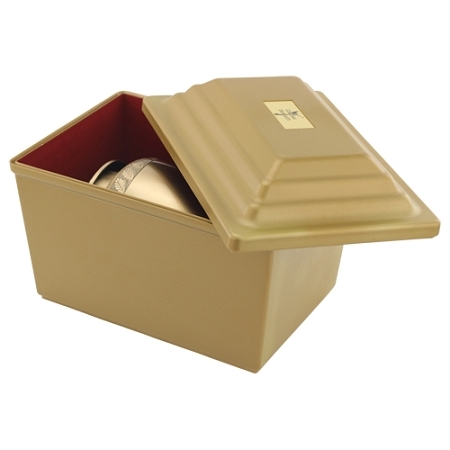 A matching gold riser is also available, which adds an additional 2 inches of vault height if needed. 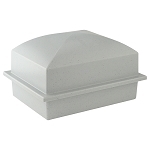 This urn vault also comes with a water-tight sealant to further protect the cremation urn. 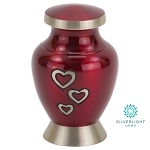 If you wish to personalize the Guardian Urn Vault - Gold, you may choose to add a brass plate, which can be affixed to the vault wherever you prefer. 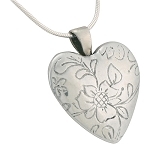 Our expert team can engrave a loved one’s name, dates, or a short, personal message onto the plate. 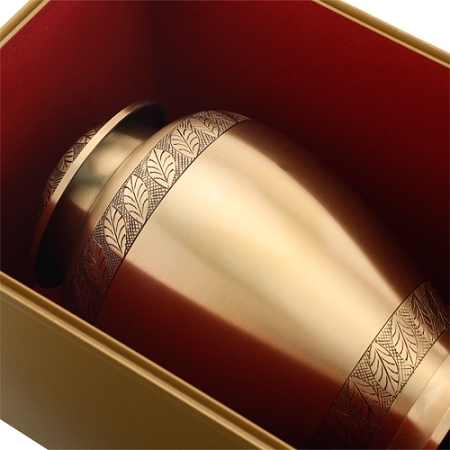 The Guardian Urn Vault - Gold is able to hold a single standard adult size cremation urn for ashes. 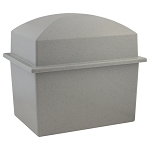 Urn vaults are required by many cemeteries if you wish to bury a cremation urn.